My dad was 7 1/2 when the photos were taken - his name was Robert John (Bob) Brooks. He was an only child and lived in Chicago with his mom and dad. The family took a cruise to Honolulu on the SS President Wilson departing San Francisco June 26 and arriving in Honolulu July 2, 1926. I was able to zero in on the dates using Ancestry.com where I found the passenger list for the ship (attached). 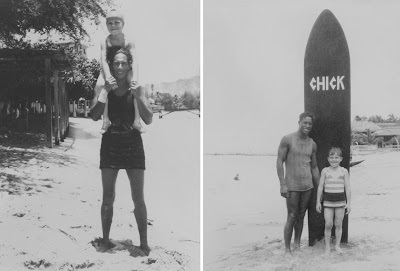 The photographs are 8x10s and have the name of a Chicago photo lab on the prints, so I suspect that they were taken by family members, not cruise ship employees.